← Second year at HBS – last but not least? Graduating at the Harvard Business School is all about putting on a toga, listening to speeches and jumping into a new part of life… as well as jumping into the river Charles. 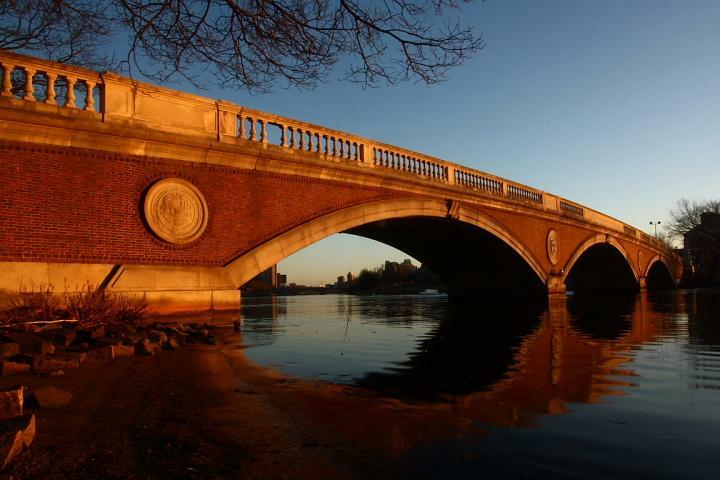 It is a tradition for students graduating at one of the Harvard schools to jump into this river in Cambridge. Only when I was standing on top of the footbridge in the middle of the night did I realize how high this bridge is, and how scary it is to take this big jump. But I did it. And there is probably not a more symbolic jump to take than this one. 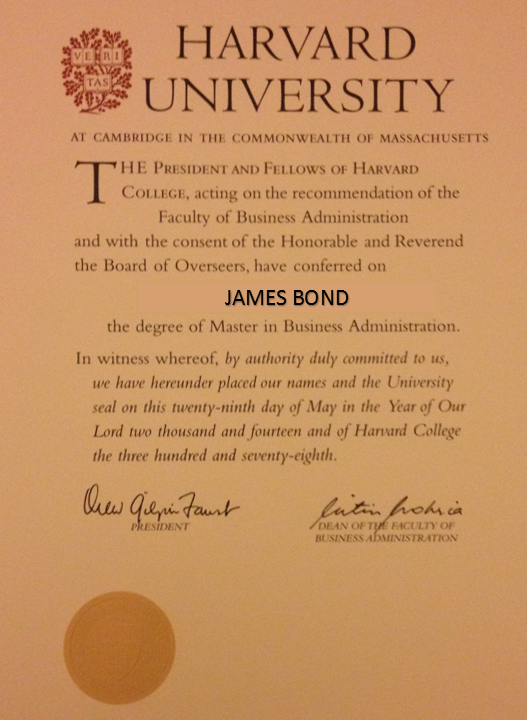 Of course, the official commencement ceremonies at Harvard are anything but about taking a dive. Most of the celebrations were concentrated on May 29th. At 6.30AM, the graduating business school students had to gather on the HBS campus before walking over to Harvard Yard. A couple of hours later, Harvard Yard was filled with thousands of students (as well as family and friends) from all Harvard schools – the ceremony during which they would get their graduation blessing from Harvard’s president Drew Gilpin Faust was about to begin. She would announce the official graduation of the students, school per school. The rest of the ceremony consisted primarily of speeches and giving honorary doctoral degrees to some of the distinguished guests – this year, these guests included Aretha Franklin, Michael Bloomberg and George Bush senior (Aretha Franklin even sang the national anthem!). After this Harvard-wide ceremony, students headed back to their respective schools to receive their respective degrees from the hands of the respective deans of their respective schools. 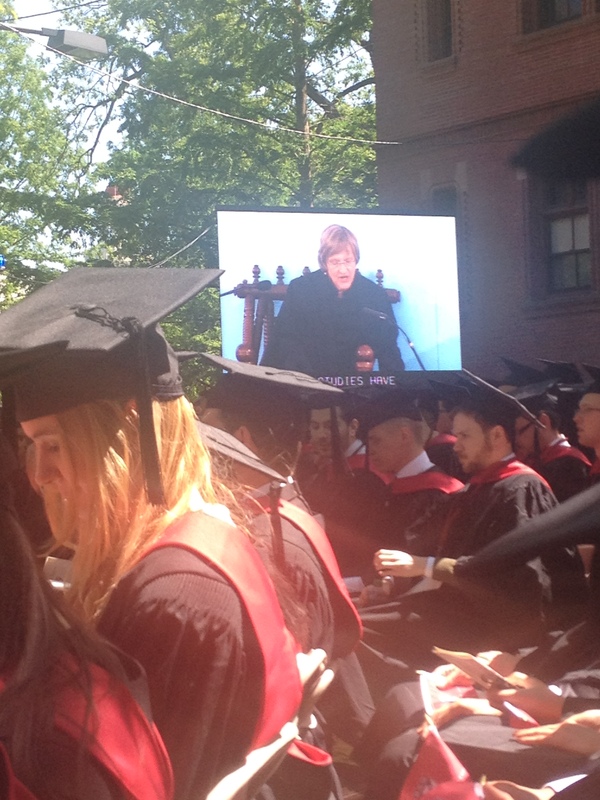 And let me tell you, having 900+ people graduating from HBS leads to a long and repetitive show – but nothing beats the moment when it is your own turn to go on stage. On the left, you can see what a Harvard degree looks like. More than a proof of academic achievement, this document will always be a great memory of an amazing 2 years of my life. Thank you Harvard. Thank you Cambridge. Thank you US of A. It is time to jump into something new. And for me, that jump will take me to Singapore. Bye. This entry was posted in Life in the USA, The HBS experience and tagged Aretha Franklin, commencement, commencement speech, Drew Gilpin Faust, footbridge, George Bush, graduation, Harvard, Harvard Commencement, HBS commencement, HBS graduation, Honorary degree, Michael Bloomberg. Bookmark the permalink.